The LEGO Harry Potter Collection is brilliant. Whether it be exploring Hogwarts’ magical portrait-laden corridors, gallivanting around the Ministry of Magic, or enduring the Dursleys at his childhood home on Privet Drive, TT Games has painstakingly rebuilt the wizarding world of Harry Potter one LEGO brick at a time. This two-game collection lets you play LEGO Harry Potter: Years 1-4 and LEGO Harry Potter: Years 5-7 on Nintendo Switch for the first time, your immediate decision being which brick-built adventure you would like to play first. Based on the eight films and, in turn, the seven books that J. K. Rowling had penned, presenting the chance to relive the Avada Kedavra-scarred wizard’s formative school years leading up to his ultimate showdown against Lord Voldemort. It’s approaching nine years since LEGO Harry Potter: Years 1-4 was released on Wii, meaning that it should come as no surprise that these games have become as weathered as Hogwarts School of Witchcraft and Wizardry in that time. TT Games has worked hard to enhance the graphics, environments, lighting, and visual effects when compared with the original releases, but, returning to the fictional school’s grounds for a second time, it’s hard not to appreciate how far the LEGO series has come since. The LEGO Harry Potter Collection returns to games from a time when the developer was unable to use any dialogue that has been plucked from the movies. That would start to come later with LEGO The Lord of the Rings, but, for these brick-based adventures, you should expect Harry, Ron, Hermione, and the rest of the LEGO wizarding world to re-enact the movie adaptations through melodrama, comedic facial expressions, murmurs, and grunts. It still treads all the important story beats, though. Whether that be the Sorting Hat deliberating over which house to place Harry in or battling the Basilisk in the Chamber of Secrets, right through to the quest to destroy the final Horcruxes that concealed parts of Voldemort’s soul and granted him immortality, it’s all here. With John Williams’ unforgettable orchestral score accompanying the adventure, it would be hard for any Harry Potter fan to resist falling under its spell. That’s made all the more enchanting thanks to Hogwarts being the hub world that you are placed in. Nearly Headless Nick guides you between the story levels with a ghostly trail of LEGO studs, but players have the freedom to explore as they wish. There are puzzles to ponder the solution to, platforming sections to overcome, and bosses to topple, but LEGO Harry Potter Collection is less reliant on character-specific abilities compared to other games. Instead, your characters will learn spells in the classes that they attend throughout their school years at Hogwarts. Wingardium Leviosa is one that you will use most often, letting you lift, move, and build LEGO bricks, while Lumos can illuminate dark areas and remove vines, Immobilus can banish flying blue pixies, and Reducto can destroy silver locks and items. And then Harry can use the Invisibility Cloak to, well, make himself invisible, and Ron, Hermione, and Neville can control their pets – such as Scabbers, Crookshanks, and Trevor. There’s even more to do, with Strength potions that you will need to gulp down to pull chains, Harry’s unexpected ability to speak in Parseltongue that’s needed to open ornate snake-decorated doors, or the Time Turner that can be used to temporarily rewind time. There’s so much that has been taken from the source material that TT Games has crammed into LEGO Harry Potter Collection, and the experience is all the more magical for it. It’s worth mentioning that this comes with downloadable content in the Character Pack, letting you play as Godric Gryffindor, Harry (Yule Ball), Helga Hufflepuff, Lockhart (Straightjacket), Luna (Lion Head), Peeves, Hermione (Pink Dress), Ron Weasley (Ghoul), Rowena Ravenclaw, and Salazar Slytherin. As well as the Spell Pack, allowing you to cast Cantis, Densaugeo, Ducklifors, Melofors, and Tentaclifors. For what it’s worth, it means that the LEGO Harry Potter Collection is complete. 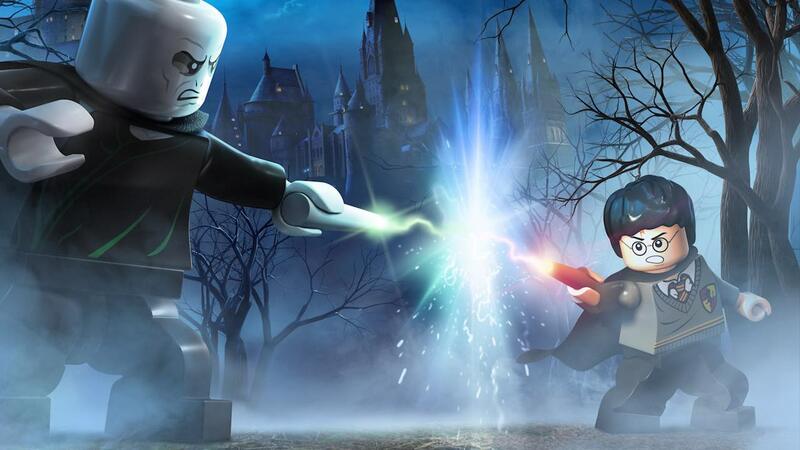 The two-game LEGO Harry Potter Collection offers great value for those wanting to relive the young wizard’s brick-based adventures on Nintendo Switch. It’s practically bursting with content, but the improvements offer little more to those that have experienced their magic and charm before. Even if they are starting to show their age, the games remain as some of the best in the LEGO series and a spellbinding local co-op addition to the portable home console’s library.